For Prelims: Highlights of the verdict and the directions issued, what is parens patriae doctrine? For Mains: Significance and implications of the judgment. Context: The Uttarakhand high court would henceforth act as the legal guardian of cows in the state. It has also issued some directions to the state government in this regard. 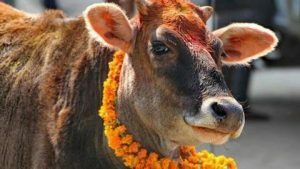 This is the first time in India that a court has had invoked the ‘parens patriae’ doctrine for cow protection. Parens patriae: The court did this by invoking the ‘parens patriae’ doctrine. Parens patriae in Latin means ‘parent of the country’ and is a doctrine that grants the court inherent power and authority to act as guardian for those who are unable to take care for themselves. The court can now act as the legal guardian of the cows in the state and keep a tab on all issues related to cows especially its directions with regard to their protection. 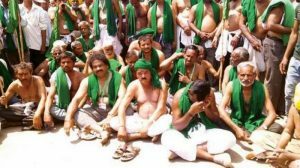 If there are any violations in laws and rules regarding cows, the court can take suo moto cognisance and issue directions to the state. The judgment came as a response to a public interest litigation claiming that stray cattle were being slaughtered and waste from a slaughter house was flowing into water bodies , posing a health threat to the villagers. The court cited animal welfare law, national and international documents and Hindu religious texts to say that animal welfare was part of “moral development of humanity”. All civic bodies in the state shall construct “gaushalas/gausadans” or shelters/homes for housing cows and other stray cattle within one year. No commercial charges shall be levied for supplying the electricity and water connections to gaushalas/shelters. The state government shall register cases against people who abandon cows and owners of cattle found on the streets, roads and public places under the Indian Penal Code, Prevention of Cruelty to Animals Act, 1960 and Uttarakhand Protection of Cow Progeny Act, 2007. The state government shall also set up a special squad to be headed by an officer not below the rank of deputy superintendent of police in both the Kumaon and Garhwal regions with one veterinary doctor to protect cows. The court banned slaughter of cows, bulls, bullocks, heifers or calves in the state and ruled that no person shall sell beef or beef products in any form in Uttarakhand. For Prelims: Particulars of Mahadayi river, the verdict. For Mains: All about the dispute and its significance. Context: The Mahadayi Water Disputes Tribunal which has been hearing the tussle over sharing of the Mahadayi or Mandovi river between Goa, Karnataka and Maharashtra, has delivered its final verdict. The tribunal has allowed Karnataka access to 13.4 tmc of water for its consumptive use (5.4 tmc) and power generation (8.02 tmc). The share of Goa was pegged at 24 tmc with the Tribunal allowing it for the state’s municipal water needs, irrigation water requirements and industrial water demands. Maharashtra got the lowest share of 1.33 tmc for meeting its in-basin needs with respect to five projects. The tribunal also directed the Centre to set up the Mahadayi Water Management Authority to implement its report and final decision. The Mahadayi river basin drains an area of 2032 square kilometres of which 375 square km lies in Karnataka, 77 sq km in Maharashtra and the remaining in Goa. The dispute arose since Goa was opposed to Karnataka’s plans to divert waters from the tributaries of the river, which Karnataka justified was for drinking water purposes. The tribunal was constituted in November 2010. For Mains: Entrepreneurship promotion in the country and the efforts by government in this regard. Context: NITI Aayog has launched “Pitch to MOVE” – a mobility pitch competition that aims to provide budding entrepreneurs of India a unique opportunity to pitch their business ideas to a distinguished jury. “Pitch to MOVE” is organised by NITI Aayog in collaboration with Invest India and Society of Indian Automobile Manufacturers (SIAM). Aim: The competition aims to identify and reward the start-ups offering innovative solutions for shared, connected, and environment friendly mobility. It also aims to incentivise the startups, which will help the Government realize its vision of Shared, Connected, Intermodal and Environment Friendly Mobility for India. The objective is to harness the latest disruption for generating employment and growth in our country. The Startups can be from the domain of Public Mobility, Electric Vehicles, Shared Transport, Last Mile Connectivity, Passenger Transportation, Battery Technology, Automotive IoT, Freight & Logistics, Powertrain/Drivetrain, Experiential, Travel, Mobility Infrastructure and Automotive Electronics etc. For Prelims: CARA, Hague convention. For Mains: Inter- country adoptions- issues, challenges and measures in place. Context: The Government of Australia has decided to recommence the Adoption Programme with India, as per Hague Convention on Inter-Country Adoption. The adoptions from India had earlier been put on hold by the Government of Australia eight years ago, on the reported charges of trafficking of children for Inter-country adoption by some of the recognized Indian placement agencies (the Adoption agencies mandated to place children in Inter-country adoption at that point of time). The recommencement of the adoption programmes will now enable large number of prospective adoptive parents including those of Indian origin settled in Australia in fulfilling their desire of adopting a child from India. The regulation of Inter-country adoptions have been made strict by the Government of India with the enactment of Juvenile Justice Act, 2015 and notification of Adoption Regulations, 2017. The Ministry of Women & Child Development along with Central Adoption Resource Authority (CARA) have been constantly monitoring the implementation of these laws. A system in place of cooperation among countries to guarantee that these safeguards are respected, and to prevent the abduction of, sale of, or traffic in children. For Hague adoptions, the authorities in both countries must agree to go ahead with the adoption. For non-Hague adoptions, requirements may vary from one country to another. The Hague Convention does not allow private adoptions in the child’s home country. Adoption is a handled by the provinces and territories, and they all have and follow laws implementing the Hague Convention. For Prelims and Mains: Features, significance and applications of the Aerogel. Context: Scientists have developed a transparent heat-resistant gel- called aerogel- using beer waste. The “aerogel” looks like a flattened plastic contact lens. The transparent gel is highly resistant to heat. The gel is cheaper to produce because it comes from beer waste. Aerogels are at least 90% gas by weight, but their defining feature is air. Their thin films are made up of crisscrossing patterns of solid material that trap air inside billions of tiny pores, similar to the bubbles in bubble wrap. It is that trapping capacity that makes them such good insulators. It may one day be used to build greenhouse-like habitats for human colonised on Mars. It could also be used on buildings on Earth to help make huge savings on energy costs. For Prelims: Outer Space treaty- features. For Mains: Space force- issues, challenges and response by other countries. Context: NASA Administrator recently expressed full support for President Donald Trump’s proposed military “Space Force” but added that it will have a role separate from NASA. U.S. President Donald Trump is planning to create a “space force” or a sixth branch of the American armed forces. The space force plan requires congressional approval. Military leaders and experts have questioned the wisdom of launching an expensive, bureaucratic new service branch. 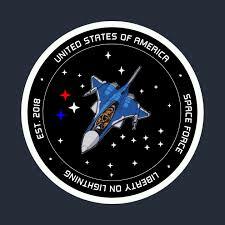 The United States Space Force, as proposed by the Trump administration, would be a new branch of the military by 2020, on par with the army, navy, air force, marines and coast guard. An independent branch can’t be created until Congress approves it, but the administration can take several steps on its own to prepare for the launch of a new force, the first since the air force was formed shortly after the second world war. The White House points to galactic threats from US adversaries, particularly Russia and China, which could develop weapons to jam, blind or destroy satellites that are crucial to communications systems. In 2007, China destroyed one of its own satellites, in a test of a weapon that could be used to target others. Russia has also tested a missile that could be used to track and destroy satellites. Not everyone is convinced, however, with critics saying threats on earth are much more real than the prospect of wars in space. There is no independent military branch focused on space, but there is a sizable space command within the air force. Created in 1982, it is headquartered at Peterson air force base in Colorado and oversees 30,000 people. It includes the Space and Missile Systems Center, oversees Department of Defense satellites, and uses radar to monitor ballistic missile launches to guard against a surprise attack on the United States. Would military action in space be legal? In a word, yes. But if a U.S. Space Force ever came online, legal experts say that international law would limit what it could do. All major space powers, including the U.S., Russia, and China, have signed the Outer Space Treaty of 1967. The pact says that nothing in space can be claimed as a single country’s territory, and it bars countries from stationing nuclear weapons or weapons of mass destruction anywhere in outer space, including in orbit around Earth. The treaty gets stricter when it comes to “celestial bodies” such as the moon and Mars. Parties can’t build military bases, conduct military maneuvers, or test weapons of any kind—even conventional weapons—on another world. But the Outer Space Treaty does give countries some wiggle room. The treaty doesn’t explicitly forbid intercontinental ballistic missiles, which enter and exit space on their way toward their targets. The treaty also doesn’t specify whether conventional weapons can be used in open space or on space stations. Why it may not feasible to have a space force? For Prelims and Mains: Features and significance of the mission. Context: Scientific data sent back by National Aeronautics and Space Administration’s (NASA) New Horizons spacecraft suggests that there could be a hydrogen wall at the end of our solar system. What does the presence of Hydrogen wall indicate? It is believed that this hydrogen wall is a “signature of the furthest reaches of sun’s energy”. Technically speaking, the charged particles which the sun sends outwards causes hydrogen to release characteristic ultraviolet light. But as one keeps going away from the sun its influence wanes, which might create a pileup of interstellar hydrogen. New Horizons was launched on 19 January 2006, and has been travelling through space for the past nine years. 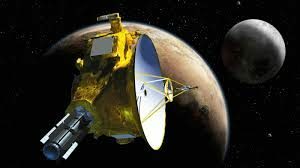 The spacecraft was launched in 2006, before the big debate started over Pluto’s status as a planet. In August of that same year, the International Astronomical Union reclassified Pluto as a dwarf planet. Context: Third Party Survey Report on Station Cleanliness has been released. It ranks 407 railway stations including 75 A1 category stations, 332 A category stations on basis of cleanliness performance. The survey was conducted by the Quality Council of India (QCI) to increase level of cleanliness under Swachh Bharat Abhiyan by identifying unclean spots, improve cleanliness standards and propel healthy competition among railway stations. Top 10 A1 category Stations (out of 75): Jodhpur (1st), Jaipur (2nd), Tirupati (3rd), Vijayawada (4th), Anand Vihar Terminal (5th), Secunderabad Junction (6th), Bandra (7th), Hyderabad (8th), Bhubaneshwar (9th) and Vishakhapatnam (10th). Top 10 A category stations (out of 332): Marwar (1st), Phulera (2nd), Warangal (3rd), Udaipur (4th), Jaialmer (5th), Nizamabad (6th), Barmer (7th), Machiryal (8th), Mysore (9th) and Bhilwara (10th). Top 10 Zonal Railways Rankings: North Western Railway (1st), South Central Railway (2nd), East Coast Railway (3rd), South East Central Railway (4th), Western Railway (5th), Southern Western Railway (6th), Southern Railway (7th), Central Railway (8th), West Central Railway (9th) and Northeast Frontiers Railway (10th). Next story Insights MINDMAPS: “Why India Needs a National Aluminium Policy”.